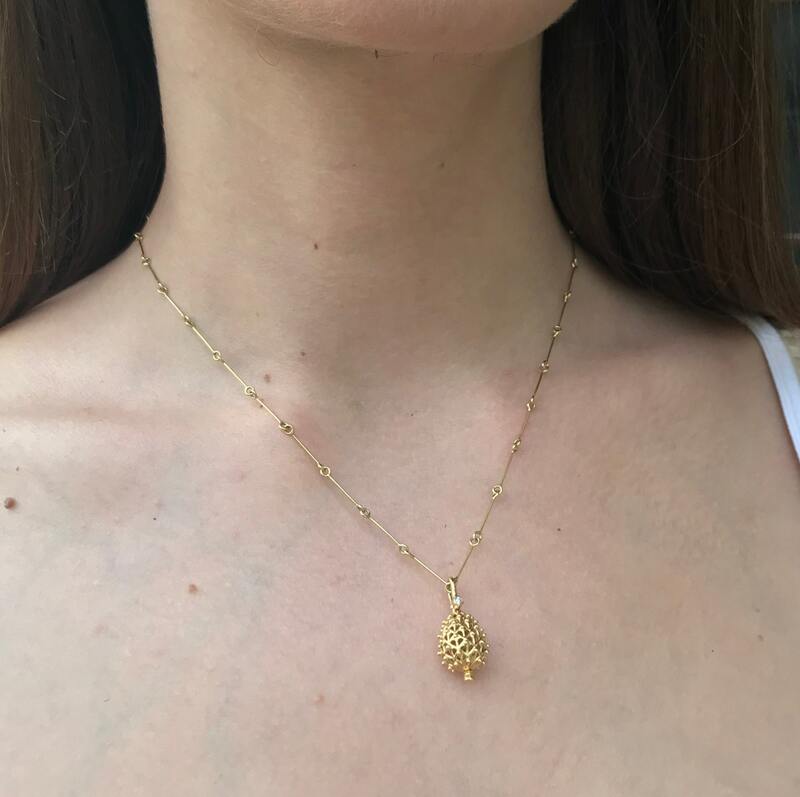 The Pine Cone, charm pendant is crafted in 18K yellow gold, hallmarked in Cyprus. This charming sculptural pendant, comes in a highly polished finish and is set with a 0,04 ct. White, VS, Diamond. It is ideally matched with our hand crafted linear chain featuring a traditional, handmade spring closure. The pine cone’s symbolism is universal and very ancient. It is associated with longevity and regeneration but above all with our superior mental functions and the center of our psyche. This is due to the very important function of a gland we all share in the center of our brain called ‘pineal’ due to its resemblance to a tiny pine cone. 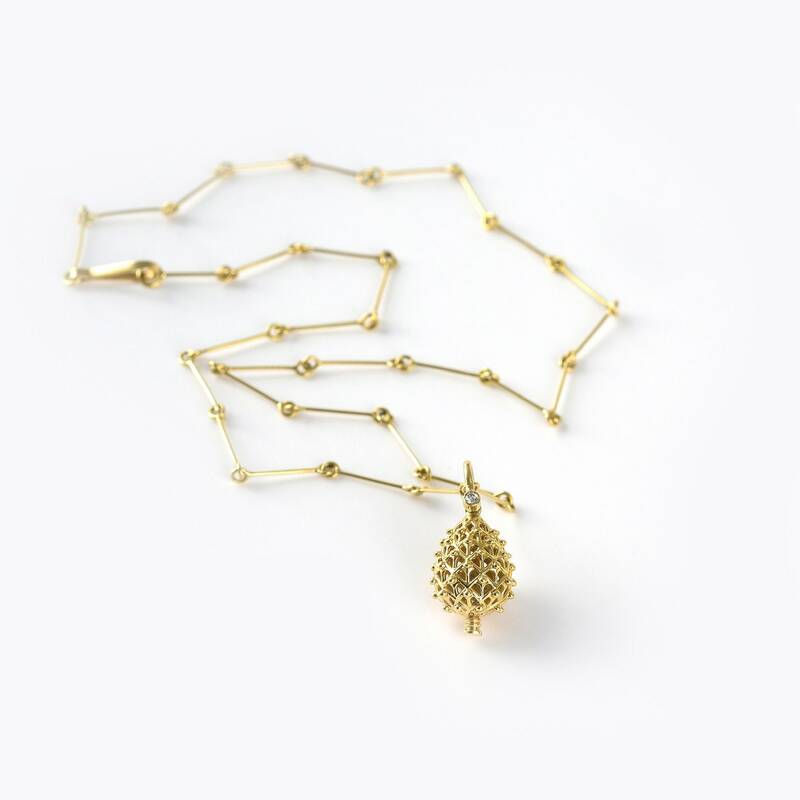 The Pine Cone, charm pendant is part of the designer’s ‘Eternal Spring’ collection.